UL 723 listed. 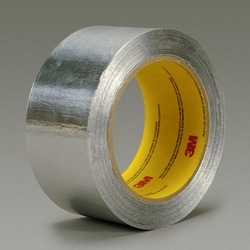 The foil serves as an excellent barrier against moisture, dust, flame, and certain chemicals. Acrylic adhesive supplies superior temperature, U.V. and solvent resistance.